Imagine that a thousand years ago, an obscure wanderer, perhaps a man with a very limited education and knowledge of the world around him. He’s lived his life roaming. If he suddenly died, few would notice or even care. But, fate intervenes as it is bound to do. Let’s say, one day this man sets up his camp site for the evening when he hears a child’s voice yelling for help. The frantic screaming is coming from a nearby river. He rushes to the scene, wades into the river, with an outstretched arm and grabs the boy by the hair, just as the boy is being swept under. The boy is saved and goes on to live a long life. The rescuer returns to his obscurity. If you think your life has no meaning, think butterfly effect. You are part of a great cosmic entanglement of random actions (chaos or a divine plan, take your pick) that over time will have a dynamic impact on our evolution. It can be no other way. If this is true then the better question is, will your part in eternity result in a net gain (have value) when all is said and done? Consider, there will be millions of positives and negatives to weigh due to your brief existence. For some they will know during their lifetime, but for others like me, it could take ten thousand years to know one’s net value, maybe more, and only by divine knowledge could one ever know that score even after a few decades. It’s just way too complicated! But, lets say somehow we do know that tally – it is safe to assume you will have a positive net value. That’s right. 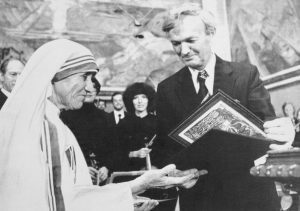 (Original Caption) Chairman of the Norwegian Nobel Institute, prof. John Sanness is handing over this year’s Nobel Peace Prize to Mother Teresa. The odds are with you! Logic says good things tend to survive and lesser things tend to phase themselves out. Darwin had his version of this. Given enough time all that will remain of your existence will be those things that were positive, thus you will generate a net positive, a net value… it is only logical that it will be this way. Now go forth and be happy knowing you have value, even if it takes 10,000 years to figure out what it was! Liberals… you might have to add another 1000 years or more, but you will get there. This entry was posted in Religion, science and tagged existence, meaninf of life, meaningful life, value. Bookmark the permalink. 5 Responses to What is a Meaningful Life? “Logic” says no such thing. Logic does not say anything at all. What are YOU trying to say? 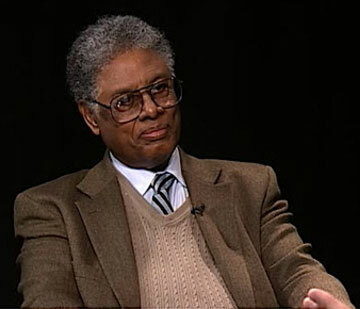 If you’re trying to cheer me up about Kennedy’s legacy, and probable replacement … it ain’t workin’. Libby, can you imagine that Donald Trump gets to pick another Justice for the Supreme Court? That is incredible! Just think of it, all these historic 5-4 decisions will soon become 6-3 decision! Wow. Sotomayor and R. B. Ginsburg must be having seizures and foaming at the mouth. Wonder how long can old Ginsburg hang on? She could go anytime and there’s another one for Trump. However, if I had to choose between Sotomayor and Ginsburg, I would rather it be Sotomayor that goes. She is currently known as the dumbest Associate Justice in the last 40 years. Dumb is even more dangerous than liberal and a dumb liberal justice is really trouble for the nation. R. B. Ginsburg is 85, she could go… one way or the other anytime. I don’t care which as long as she leaves. Would it be too much to hope Nancy Pelosi goes with her? Crossing fingers, toes and eyes in hopes that TheDonald will get to replace both Sotomoron and RBG.